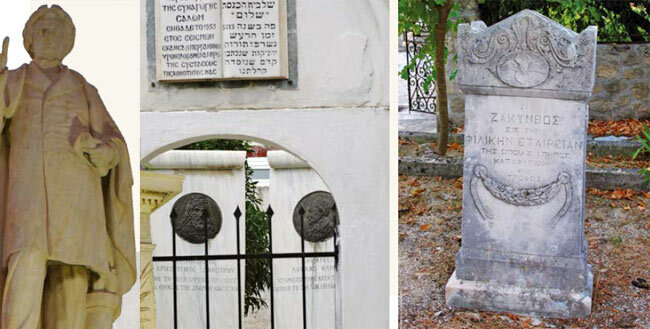 Monuments in Zante - Historic buildings and memorials in Zakynthos. The monuments, witnesses to the history and culture of a place, could not form an exception in Zakynthos. The statue of Solomos in the square named after him, the statue of Glory personified, which responds to the verses of the national poet of Greece, the statues of Foscolo, national poet of Italy, and columns that recall memories of the history of the Society of Friends and the writings of Kalvos, can be found on the island for knowledge, memory, and mainly for imitation.